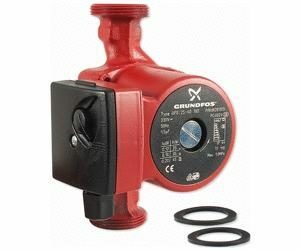 This pump is a GRUNDFOS UPS 25-60 180 Inline Circulating Pump, Cast Iron Construction for Heating & Cooling Applications. 32mm Ports,180mm between centres. 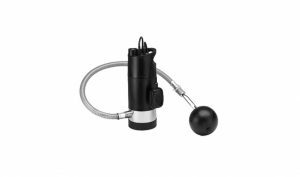 The Grundfos UPS 25-60 has Cast Iron Construction for Heating & Cooling Applications. 25mm Ports, 180mm between centres. GRUNDFOS UPS 25-60 can be used in both open and closed systems. 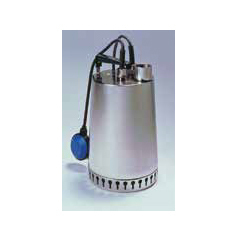 UPS pumps are of the canned-rotor type, i.e. pump and motor form an integral unit without a shaft seal and with only two gaskets for sealing. 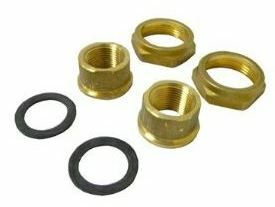 The bearings are lubricated by the pumped liquid.